The Department of Transportation just released guidelines on autonomous vehicles. This is the Trump Administration’s first formal statement regarding autonomous vehicles. 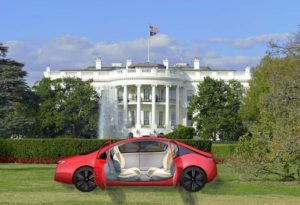 The new guidelines help to standardize and create a framework that will allow autonomous vehicle technology to move forward and for the United States to continue to hold a leadership role in the industry. This is a bold action that will have sweeping effects on the economy. A Vision for Safety 2.0, was presented by Transportation Secretary Elaine Chao at an event at the University of Michigan. She said that the benefits include the avoidance of car crashes, reducing commute times through the use of automated vehicles, access to open roads for the elderly and those with disabilities, and an expected decrease in highway fatalities and injuries. Automobile automation will change the way vehicles interact on the roadways in many ways, and require a variety of infrastructure upgrades. These will include infrastructure investments to complement the improvements of on-car automation features. With a smart highway incorporating a dedicated lane for the automated vehicles, it is possible to pack more of them together running at the same speed and safely transporting more people and goods. 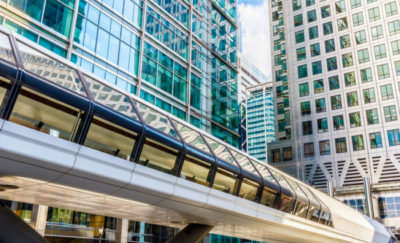 So far, automated vehicles incorporate technologies which have existed for years, but have been incorporated only in high-end cars or in trucks and buses. These include advanced cruise control, assisted braking technologies, radar to detect possible car collisions, and rear cameras. The aim of a fully automated vehicle is to enable the transport of a person in a safe manner without the need for human intervention. It is expected that these automated features will lessen the number of vehicle failures and accidents. With fewer vehicle failures and accidents, there would be fewer injuries and fatalities from road travel. The elderly and those with disabilities are also expected to benefit from automated vehicles. At present, they have been disenfranchised and have a hard time commuting because they cannot drive a car. With a self-driving car, they will have the same freedom of movement which able-bodied drivers have. 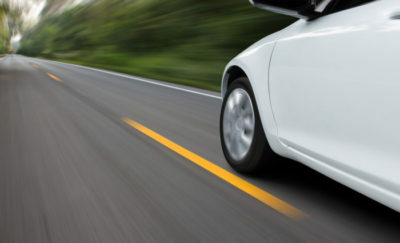 The automated vehicle booklet followed the approval by the US House of Representatives of the HR 3388 otherwise known as the Safety Ensuring Lives Future Deployment and Research in Vehicle Evolution (SELF DRIVE) Act. This is meant to hasten the development of automated vehicles. It permits up to 25,000 automated vehicles on the road during the first year, rising to 100,000 vehicles every year. The only requirement is for car manufacturers to provide letters of safety assessments of their automated systems. There are several major differences from the 2016 policy guidelines and the current revisions. The 2016 guidelines had a proposal which would allow regulators to check vehicles with safety assessments. Some companies objected to the strict safety testing which would have added a separate layer of authority. This would have given authorities the right to approve or reject a self-driving system before it could be tested or sold. The original idea behind this regulation would have been the thorough testing of the systems according to set standards which have yet to be set. There are some in the industry who believe this layer of testing would detract from the aims of a self-driving vehicle. It would also add years to testing and assessment in coming up with the standards, as well as the testing itself. In addition, such tests would add additional costs to the production of the vehicle. At present, the National Highway Traffic Safety Administration (NHTSA) does not have that authority for both regular vehicles and self-driving cars. The safety assessments will no longer be under the NHTSA, but will be part of the requirements for the car manufacturers. Automated car makers will have to submit a safety assessment letter for submission to regulators. The letter will document the approach to safety taken by the manufacturers. This is same method currently used when it comes to vehicle safety for regular manually driven cars, but without the letter of assessment. Car companies do their own testing and assessment prior to using a new technology. Additional features are added as the demand for more safety is seen from real-life data. It should be noted that the use of a pre-assessment prior to sales would not be able to predict all conditions for safe travel. The revised guidelines continue to highlight vital vehicle design and safety considerations. These include items which automakers must take into consideration for their automated driving systems. Level 0: No Automation. There is zero autonomy and the driver performs all driving tasks. Level 1: Driver Assistance. Vehicle is driven by driver but with some driving assist technology features included in the vehicle design. Level 2: Partial Automation. Vehicle has manual and automated features, including steering and acceleration. The driver must remain in control of the driving task and monitor the roads and conditions at all times. Level 3: Conditional Automation. The driver is still a necessity, but environment monitoring is mainly an automated task. The driver has to be ready to take control of the vehicle at all times with notice from the vehicle. Level 4: High Automation. The driver has the option to control the vehicle. All the driving task is performed by the vehicle under certain driving conditions. Level 5: Full Automation. The driver has the option to drive the vehicle. The vehicle is designed to be capable of performing all driving conditions under all environments and conditions. The new policy was released at an event at Mcity, a mock town used by the University of Michigan at Ann Arbor to test self-driving vehicles. Transportation Secretary Elain Chao presented the guidelines to industry and the press. She also recommended that safety and performance rules and regulations are to be maintained and managed by federal agencies, while the states will handle traditional vehicle issues and procedures including licensing, insurance and liability. It is coincidental that the guidelines came out almost at the same time that findings about the 2016 Tesla crash which involved an autopiloted car were released. Initial findings show that the autopilot software was at least partly responsible for the accident. This is one of the concerns of authorities regarding autopiloted vehicles and makes a case for the pre-assessment of the automated vehicle prior to its sales. The contrarian view is that the cause has not yet been determined, and that it is impossible to list all the possible occurrences which can lead to a failure in software. The automotive industry has always introduced innovation after a feature has been shown to be important or relevant. There should be a need first before the item could be included in the vehicle or software design. This is especially true with software where design features are added after the software has been used in the real world. As with all software, only actual use would show errors or bugs which the designers may have left out because these were unimaginable at the time of the design. The guidelines were eagerly awaited by manufacturers and industry analysts, as they will have an impact on how soon automated driving vehicles will be available to the public. With the clarification that these guidelines will only be for Automation Level 3 and above, as well as identifying that there will be no pre-assessment prior to sales, it is expected that car manufacturers expect automated cars on the road sooner rather than later. The US, and the rest of the world for that matter, are anxious for the roll out of driverless cars. The technology is ready and car manufacturers have more than embraced this new breed of vehicles. 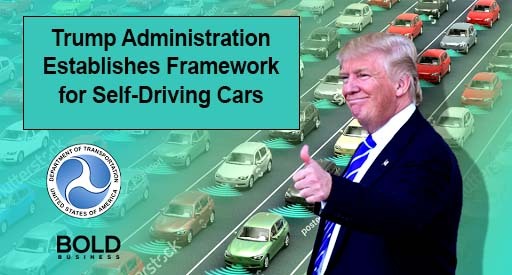 The administration has taken a bold action in clearing the way for the continued speedy development of driverless technology in the United States.